Betsy creates original pieces for sale and by commission. She also lectures, teaches workshops and designs patterns. 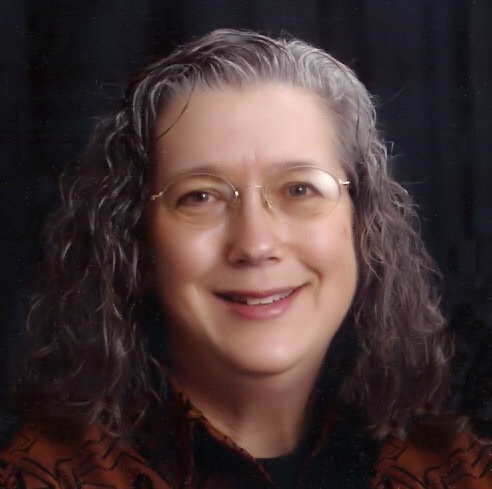 Before becoming a full time quilter, Betsy earned a degree in mathematics and worked as a geek for the Department of Defense for over twenty years. 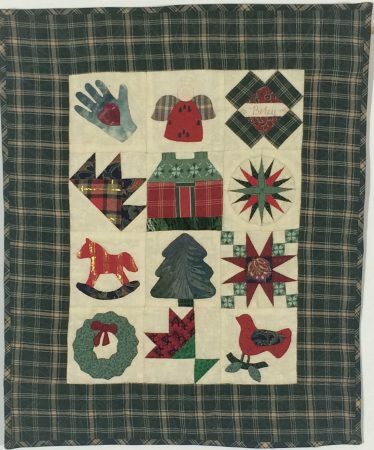 She grew up surrounded by quilts–both of her grandmothers made quilts and there were always quilts on the beds growing up in Maryland. One day on the way home from work, she drove by a local quilt shop, went in, signed up for lessons and never looked back. She started teaching traditional methods at the shop. Eventually, influenced in no small part by the work of quilt artist Ruth B. McDowell, she began making art quilts. Additional influences are quilt artists Sue Benner and Susan Shie. Betsy now lives in Alexandria, VA with her very patient husband who rolls his eyes at her fabric collection but accompanies her to shops and shows. They also share their home with a horde of teddy bears who keep their opinions to themselves. Most of the time. Though I don’t make traditional quilts any longer, that love of all things quilty is still there and flows through my work. The colors, the fabrics and the endless textures that can be created keep me excited and moving forward to see what waits around the corner. I make art quilts interpreting the natural beauty I see around me. I also make quilts in honor of the people who inspire me. I use commercially available fabrics combined with some surface design and embellishments. I’m constantly trying to expand my boundaries, try new techniques, achieve new heights, and to make something beautiful. I use my own photographs as the starting point for many of my quilts. Thanks for allowing me to share my art with you. Frances Perkins is part of the juried exhibition HERStory: A Celebration of Strong Women. Soon to be at Road to California, San Diego, CA (January 18- 21, 2018) and at the Utah Quilt & Sewing Marketplace, Sandy, Utah (May 3-5, 2018). View the quilt here. Moonflower is part of the juried Fly Me to the Moon exhibition and will be at MQX New Hampshire Quilt Show April 11-14, 2018 and at the Virginia Quilt Museum May 22-September 8, 2018. It was most recently at the Quilt Guild Indianapolis 2017 Quilt Show (October 20-21, 2017) and on display at the Library of Congress in October 2017. View the quilt here. Mom’s Cookies was in the juried What’s for Dinner exhibit at the Houston International Quilt Festival, October 2015. View the quilt here. Winter Chair was part of the A Page From My Book: Journal Quilt Project 2007 (not juried), October 2007, Houston International Quilt Festival. View the quilt here. Mama’s Blue Period was in the juried I Remember Mama exhibition, October 2005 at the Houston International Quilt Festival and at the International Quilt Expo, Lyon France (June 2006). View the quilt here. En Pointe was part of the What’s Black and White and Pink All Over QuiltArt Challenge and was selected to be part of the juried QuiltArt@10 Exhibition, shown at the Houston Quilt Festival (October 2005) and at the International Quilt Quilt Expo, Lyon, France (June 2006). View the quilt here.